When the annual legislative session opens Jan. 12, Kansas is poised to expand its pro-life laws. At the top of the list is a fetal heartbeat bill. I think the early-abortion ban is a political ploy to try to tighten even further access that women have to abortion services in Kansas. We obviously believe it’s entirely unconstitutional. However obvious McQuade may “believe” that such legislation is unconstitutional, the most obvious facts are that the Constitution guarantees a right to life, and a fetal heartbeat is proof that life exists. It’s generally accepted that a fetal heartbeat begins at about three weeks’ gestation — before many women know they are pregnant. And that’s the point: life begins even before we realize it sometimes. Should the point of realization somehow be the place of decision? Or should decisions be made based on when life actually begins? Ultimately the goal is to eliminate abortion services for women in the state of Kansas. McQuade insisted, “Planned Parenthood isn’t going to let that happen,” as if she has some sort of total control. The biggest hindrance to the pro-abortion crowd is science. In 1973, when Roe v. Wade passed, we simply didn’t have the same tools available to us. It was not typical for a woman to get an ultrasound. In fact, the relatively new (1950s) technology became standard only in the middle of the ’70s, so when abortion became legal, debates on fetal heartbeat and ultrasound technology were not part of the prevailing dialogue as they are now. Planned Parenthood can’t stop science. 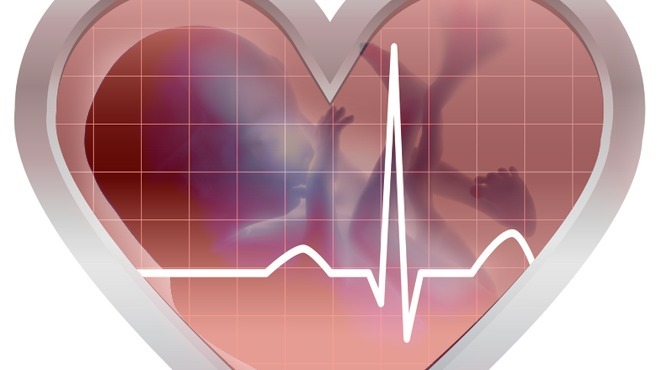 Besides heartbeat legislation potential, some speculate that there may be a bill to expand the abortion waiting period in Kansas from 48 hours to 72. [Gietzen] said the videotaped beheadings of journalists by Islamic terrorists have raised concerns about what he calls the ‘decapitation’ of fetuses during abortions, making an attempt to ban it timely…. No state has ever tried for such a law, he said, but he is working with the American Center for Law and Justice… on language that would make such a bill work in Kansas and in the U.S. Supreme Court. Burkhart’s implication that abortion somehow is not gory is baffling, since abortion always involves killing a living baby from the womb. Whether abortion happens by medical expulsion with pills that cause a bloody at-home miscarriage, or vacuum aspiration, sucking life and cleaning the uterus, or actually maiming and cutting out the more developed life in later-term abortions, to imply that abortion is not gory shows a willful blindness to reality.